As some of you will know, I was raised in Sydney, Australia, where, looking back now, the sun usually shone, the air was scented by eucalyptus and Warwick Farm was the heart and the soul of motor racing in all its forms. 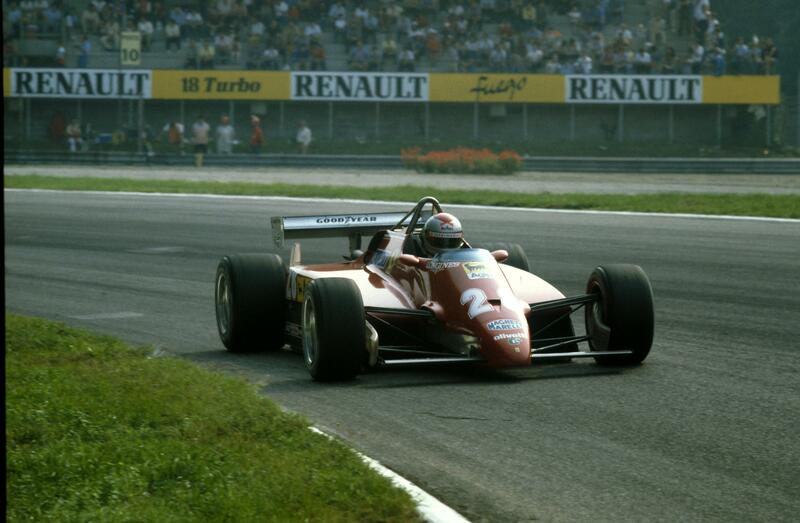 I grew up in the knowledge that, every summer, I would see a bunch of F1 drivers competing in the International 100 and that, in between times, I would see five national race meetings of extraordinary quality. Drivers like Frank Matich, Leo and Ian Geoghegan, Greg Cusack, Kevin Bartlett, Niel Allen, Bib Stillwell, Johnny Harvey, Spencer Martin, Max Stewart, Brian Foley, Peter Manton, Norm Beechey, Allan Moffatt and Bob Jane were my “national” heroes; Sports Car World, Modern Motor and Racing Car News were my regular fare. Then there were the F1 drivers in their Tasman-engined F1 cars. I still find it hard to capture accurately what motor racing was like back then. Was it the way the Warwick Farm paddock was laid out, by the lake, with the marshalling area opposite the huge grandstands? 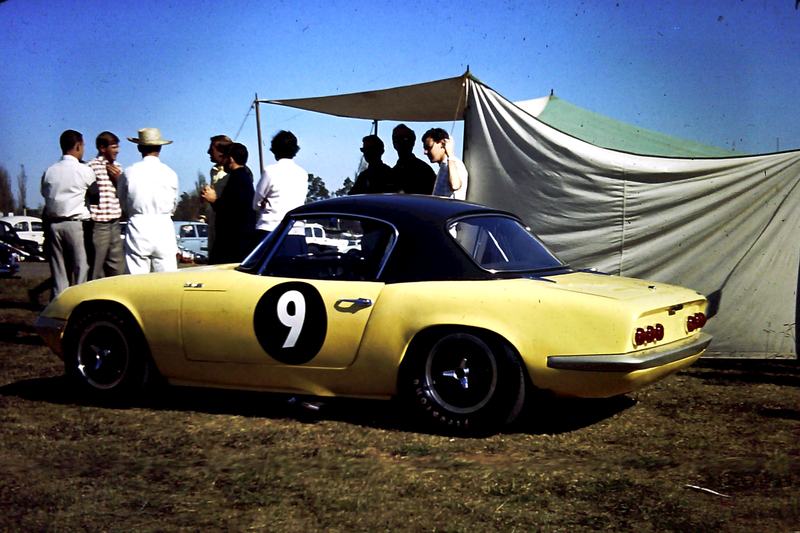 Was it the colour- and word-perfect attention to detail of the Australian Automobile Racing Club (AARC)? Was it the relatively safe circuit layout, designed by the immaculate Geoff Sykes? I know not the answers, even now. All I know is that it was motor racing. Nothing, since, has compared. Not even Monaco on a good day. Not even a packed Brands Hatch. When I was at The Farm, first as a young kid, smuggled into the paddock area in the boot of a car owned by a marshal who worked with my Dad, then as a marshal myself and finally as Press Officer, I was at one with the world. Flags would flutter in the breeze. Jim Clark and Jackie Stewart, sun-tanned and shirtless, would laugh their famous laughs. Then the sun would set, the beer cans would pour and, over the PA, they would play The Long and Winding Road. I have lots of photos from that era. Some I took with a black-and-white Kodak Box Brownie. Then, in 1967, I bought a half-frame Fujica. The quality from both was not great, but for me that didn’t matter. I had captured the moment, cut a slice from time. That was all I needed. I had been there, seen it happen. Kevin Bartlett, in blue Nomex, sits on the front wheel of Alex Mildren’s 2.5 litre Tasman Brabham-Climax. The Mildren team was a mid-1960s staple at The Farm. 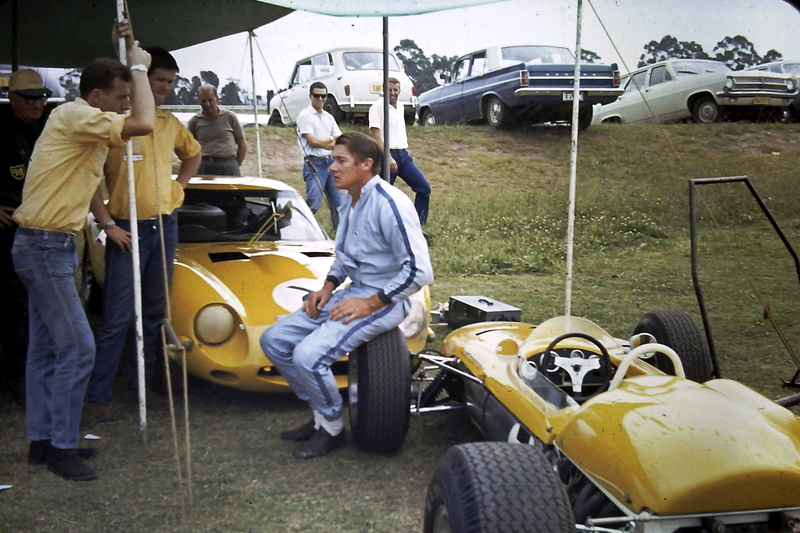 The cars were always painted yellow; Glenn Abbey, the team’s Chief Mechanic, was a master. Kevin’s car control was superb. To this day I’d put him up there with Le Mans winners and GP2 front-runners. He could balance an Alfa GTA on the outer extremities of opposite lock through Paddock Bend and then in the next race glide the Tasman Brabham through Homestead with fingertip precision. 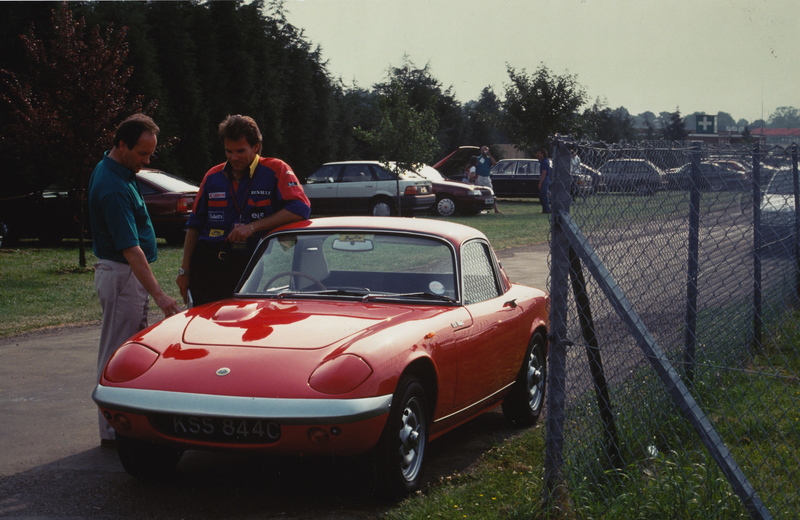 That’s actually the Mildren Alfa GTZ behind the Brabham; and there, in the background, smiling, is Fred Gibson, whose yellow lightweight Elan (shown here, not Mildren yellow) was both gorgeous and very fast. I don’t recall its inside front wheel touching the road very often. I know you think the cars in the background have not been parked with FOM-like precision but that’s what I liked about The Farm: it was neat but natural and retained lots of grass. Note the Mini Cooper S and the two Holdens. You were in one of two sectors back then: the Mini brigade or The Rest. And here’s a shot of said Alfa GTZ lined up and ready to go. 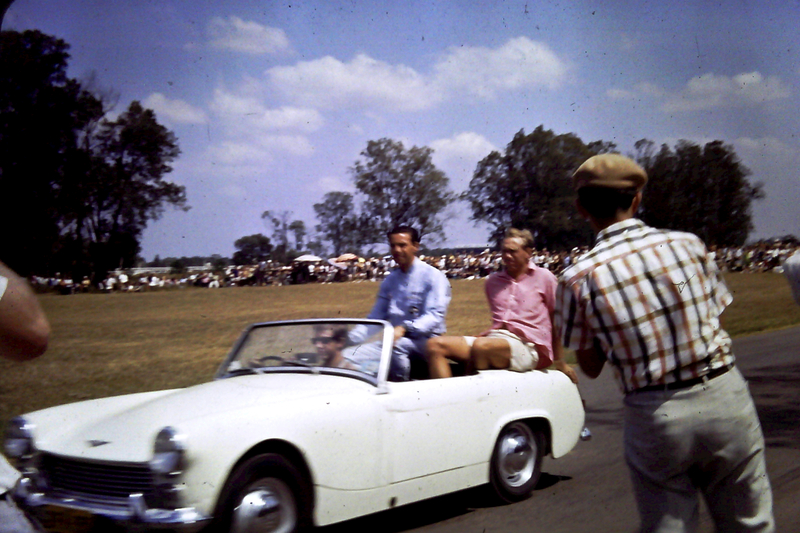 The genius that is Frank Matich is on the pole in one of his first races with the big Elfin sports car he developed in 1966; Alan Hamilton, who always seemed to have access to exotica, is in the middle of the front row in his Porsche Spyder; and KB is there in the Alfa. 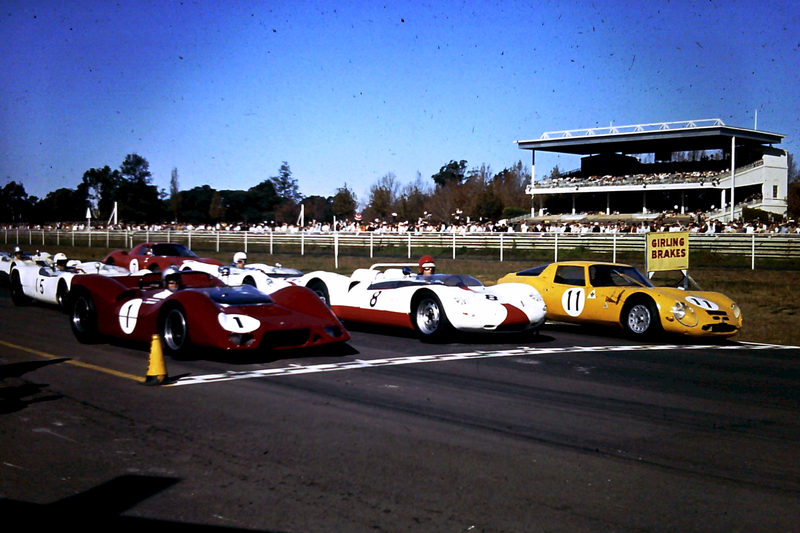 Two lovely, white Lotus 23Bs fill the second row (I think driven by Frank Demuth and Niel Allen) and on the outside of the third row you can see David McKay’s famous Ferrari 250LM, driven by Spencer Martin. From memory, Hamilton jumped this start by a mile and was leading by about 100 yards when the flag dropped! This is a typical Warwick Farm scene: packed grandstands, perfect weather, stunning collection of cars and drivers. My last picture today is one I’ve always treasured. I watched the 1965 International 100 from the spectator bank at Creek Corner. Jim Clark won the race in his green and yellow Lotus 32B-Climax, with Frank Matich a brilliant third in the Total Team Brabham. All was right with the world. Then came The Moment: as one, the crowd jumped the wooden fences and swarmed onto the track, there to greet the winner on his parade lap. I remember standing there, hot and sweaty, so nervous that I could barely breathe. I was going to see Jim Clark! He was going to be driven right past me, mere feet away! The white Sprite shimmered into view. I could pick out the light blue overalls of the winner, black hair glistening in the afternoon sun. Who was that next to him, though, in the red-and-white checked shirt? I was mystified. I didn’t know whether to line up the camera or to keep peering at the slowly-approaching car, trying to identify The Other Guy. Then suddenly it hit me: Mike Spence! Mike Spence! Jim Clark’s F1 team-mate. He hadn’t raced at The Farm that day. I didn’t even know he was in Australia. In a panic, I raised my camera and fired. The result wasn’t very pretty. It was, though, The Moment. Absolutely loved this, Peter! Thank you for sharing such a special moment in Motorsport history. How wonderful the era when the sport was so pure and the pilots so accessible. I’ve got the program from that meeting somewhere in the basement….I’d completely forgotten that Alfa though. Wow, great photos, that blue Holden has nearly been reversed over the edge! Love the image of Clark and Spence too. Iam really enjoying reading this blog which I have only just discovered, so am reading previous entries with great interest. I also discovered the Flying Lap interview with Nigel Mansell a couple of days ago, and thought it a real treat. I was also impressed with your Ron Tauranac impression! Many thanks! Thanks Robert. The bank on which the Holdens etc are parked is actually the spectator hill for the polo field, which is just the other side. It was on this field that the likes of Jim Clark and Graham Hill would land the light aircraft they were flying in from Bankstown. Best way to beat the traffic! Thanks Bruno. Yes, a golden era at Warwick Farm. It was short, too – only 12 or so years. WOW ! Yes indeed … The Moment. Absolutely wonderful. Thanks so much for that. Yes – that’s me. I was a bit bemused that day at The Farm by the speed of JYS (how could anyone beat Jim Clark!) but understood later that the BRM had had a huge tyre advantage 🙂 At least I got to see Jim in what was basically an F1 Lotus 33B. I can’t say enough about the Repco Brabhams, either. The noise. The colour. Denny and Jack in Goodyear Leston overalls. Just brilliant. Thanks for pointing us to this channel! Spent a few hours watching some really great old footage. A couple of quick observations are A, That Frank Gardner bloke could really drive and B, Longford looks an utterly terrifying circuit. Yes – Frank was right up there with the best of ’em in what ever car he raced. 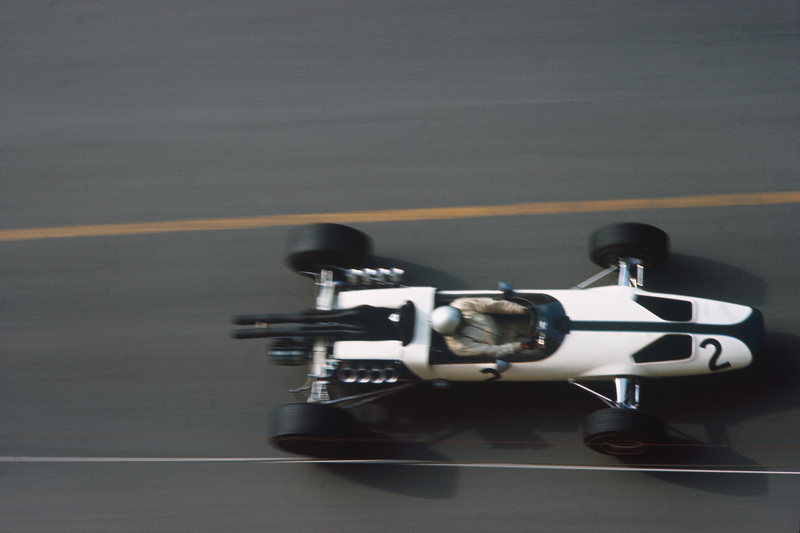 I first saw him at Catalina Park, Katoomba, in 1963, driving the FJ Brabham. Longford I have only seen in recent times but, yes, for me it is forever synonymous with the tragedy of Timmy Mayer. I walked a good bit of Longford when I went down there for the Tasman races. Scary in today’s terms, but wonderful in other ways. The rickety old wooden bridge, the pub on the corner, and that lovely straight, down which I’ll never forget the sound of Chris Amon in the SV P4.